Advantages 1. We are a manufacturer. FAQ: Help you understand more about our tins packaging and us. 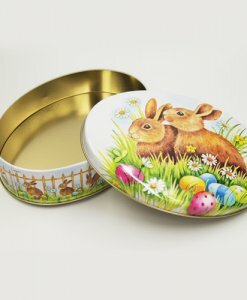 A: As tinplate is a high-quality safe packaging material, tin boxes are mainly used for food packagings such as cookies, mints, candies, chocolates, biscuit, coffee etc as well as premium and promotional gift packaging. A: All our products are SGS, FDA, RoHS, BPA free and Phthalates free approved. A: Metal decoration is an offset printing process utilizing CMYK or PANTONE colours. The print is done on large metals first, then splitting into a smaller piece for stamping and formation. A: Before designing any graphics on a particular tin, we will provide you with a dimensioned layout(die line) for positioning graphics. According to the tin construction, this positioning info is very important to ensure the proper placement of artworks onto each of the tin. 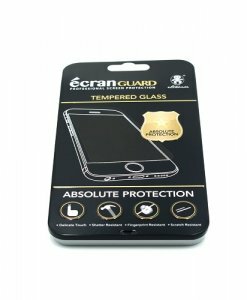 A: Firstly, if you are interested in any of our existing items, we will send free samples to you for review. Secondly, if our samples work for your project, we will make customized samples for you with your artwork printed or embossed or debossed or 3D embossed on our tin and send to you for approval. Q: We provide perfect pre-sale and after-sale services. With respect to pre-sale service, we hear our clients’ need and assist them to choose the most cost-effective way to achieve the best results. In terms of after-sale service, if any problems or issues occur after clients receive our shipments, we will be taking the full responsibility to help clients solve them or provide a satisfying solution to our clients. For example, if clients find any defective tins when they receive the shipments, we will be either processing refund or making replacements for clients on the next order. YiCheng Industrial (Shenzhen) LTD is one of the leading tin box suppliers in China. 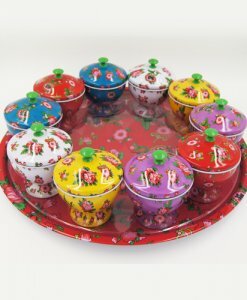 Established in 2003, we have been specializing in manufacturing various kinds of quality tin box, custom tins, tin can, round tin, rectangular tin, square tin, food tin box, chocolate tin, candy tin, coffee tin, cookie tin, cake tin, mint tin, tea tin, gift tin box, watch box, cd tin case, DVD tin box, perfume tin, sliding tin, wine tin, cigarette tin box, candle tin, tin pail, tin ice bucket, lunch tin box, handle tin box and so on. we are looking for some long partner in many countries. You can sell your products with our package, This will bring you more profits. I believe you will pleasure co-operating with us. Packaging: 1pc in polybag,48/72pcs in per carton. Copyright © YiCheng Industrial (Shenzhen) LTD.